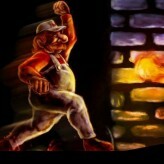 Do you consider yourself as a Super Mario veteran and take pride in accomplishing the hardest challenges? Then Challenge yourself once again with this extra difficult Super Mario Bros hack for the NES called Super Mario Bros: For Hardplayers! 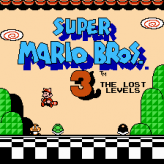 Super Mario Bros: For Hardplayers features the same gameplay and same game mechanic as the classic Super Mario Bros game that is based on, but the level layouts and some factors in the game were changed to make it a lot more challenging. 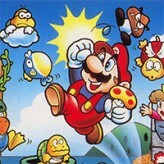 Super Mario Bros: For Hardplayers is suited for the veteran players and for the pro players of the game, and even to those who loves the extra challenge. 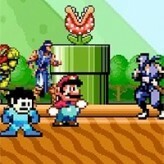 Are you man enough to complete all the levels and conquer this ROM hack? Good luck! There have been 8,298 plays and 39 likes from 54 votes (73%) since 29/03/2018. 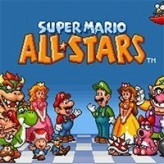 You are currently playing Super Mario Bros: For Hardplayers game for free on Arcade Spot. It is a single game out of a variety of games that you can play on Arcade Spot. Play more games like Super Mario Bros: For Hardplayers in the Arcade, Challenge, Emulator, Mario, NES, and Platform gaming categories. This game has a rating of 73 out of 100 based on 54 user ratings. If you enjoyed playing the game, give it a thumbs up. Free Online Games and Arcade Games are added every day. Arcade Spot will bring you the best games without downloading and a fun online gaming experience on the internet.